Bishop's Weed (Ajwain) is a minute, egg-shaped and greyish seed of a small, erect, annual shrub. This Indian spice is also known as ajwain and is highly aromatic. Due to presence of thymol, raw seeds or ajwain smell like thyme and are less subtle in taste as well as slightly bitter and pungent. Sourced from trusted vendors, our range is also appreciated for its excellent preservative and medicinal properties. 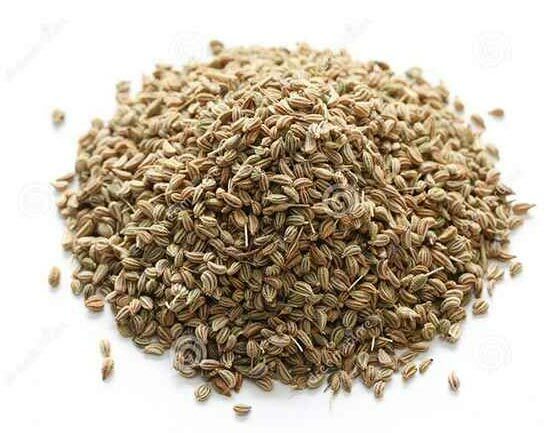 We are engaged in offering Ajwain Seed that is extremely beneficial in treating paralysis and weakness of limbs. Widely appreciated for it's medicinal and nutritional values, Ajawain has high calcium and iron content. It acts as an excellent painkiller, heart tonic, and respiratory stimulant, and is widely used. Aniseeds are used in various cuisine like British, Australian, New Zealand, Italian, German, Turkish, Mexican etc. Anise is also used to flavor many liquors worldwide. Aniseeds are used in candies and as breath fresheners. Aniseeds are also very helpful in asthma, insomnia and constipation. Usa, Canada, Uk, Vietnam, Australia, Saudi Arabia, Uae, New Zeland, Singapore And Kenya.